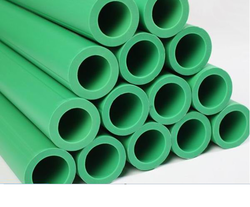 Our product range includes a wide range of PVC Hose such as PVC Hoses, PVC Flexible Hoses, PVC Flat Hoses, PVC Green Pipe Hose, PVC Grey Pipe, PVC Oil Hose and many more items. PVC Braided Hoses offeredcome in quality construction finish and finds extensive use in irrigation and washing processes in areas like parks, factories and others. 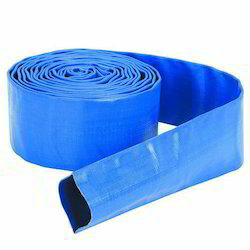 Further, these hoses can be provided in different color options as well as in light and flexible construction finish. Some of its features include providing for excellent adaptability; support effective transferring of air, steam, water and other materials; can also offer metal fittings together with hoses; allows superior handling of working pressure and fluid temperature. PVC Garden Hose offered to come in quality construction finish and find extensive use in areas like irrigation; in parks and other areas. Further, these provide for lightweight as well as flexible usage and come with excellent resistance to hard weather conditions. Some of its features include outer layer featuring superior ultraviolet radiation resistance; can be developed according to the requirement of customers; choice of OEM configuration as demanded by the customers. 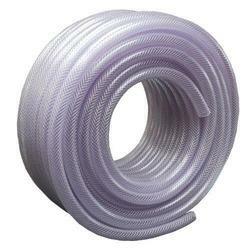 PVC Discharge Hose offeredcomprise quality finished PVC lay flat hoses that can be developed as per defined industry standards and in acid/alkali resistant finish. Further, its superior construction finish also makes it allow for convenient bending and folding support. Some of its features include available in different finish dimensions; can be provided in colours according to client's requirements; lightweight and durable construction for long service life; suitable for use in irrigation, drainage and other applications. Our organization is counted amongst the most distinguished manufacturers, suppliers, wholesalers, traders, retailers and exporters of PVC Flat Hoses. These lightweight products are used in mining and for dewatering purposes. Our range can retain its flexibility and elasticity even at low-temperature conditions. 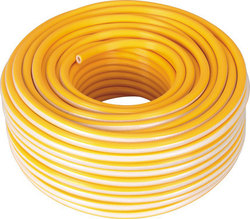 We offer these hoses in bright colours at most competitive prices. We are a trusted name in manufacturing, supplying, wholesaling, trading, retailing and exporting PVC Hoses. Our expert professionals manufacture these hoses using optimum grade rubber following industry standards & norms. All our products cater to the demands of engineering and automobile industries. These hoses are designed to transfer of oil and chemical based solutions in automobile and engineering industries. 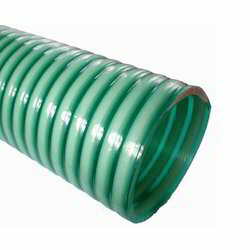 We are one of the leading manufacturers, suppliers, wholesalers, traders, retailers and exporters of Green Pipe Hose. 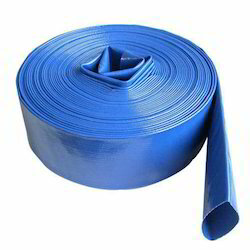 High-grade rubber that is sourced from most trusted and reliable vendors of market is used in the manufacturing process. Our range is used in underground plumbing. 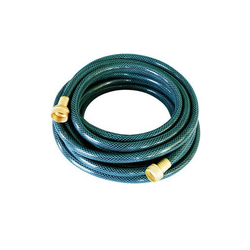 These hoses are acclaimed for their flawless finish and durability. 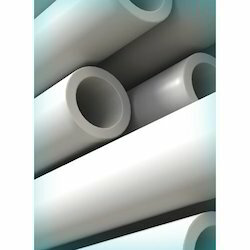 We are highly appreciated in the international market for our qualitative PVC Grey Pipe. The range offered by us is extensively used in underground plumbing applications owing to its long term functionality. To cater to the variegated requirements of clients, we offer these pipes in standard as well as customized dimensions. PVC Flexible Hoses offered are offered in different choices including as duct hoses, oil hoses, nylon braided hoses, food grade hoses and others. Here, our expertise lies in offering these in different colours and finish specifications as per the preferences provided by the customers. Some of its standard features include providing for superior chemical and corrosion resistance, superior abrasion resistance, providing for rubber-like flexibility support, features superior flow characteristics, choice of different construction options, suitable for use in food and beverage, pharmaceutical and chemical fields and others. PVC Oil Hose offered are ideally suited for use in oil areas for meeting requirements of suction and discharge applications. Further, these hoses can also be used for kerosene, LPG products, lubricating oils and others. Here, our expertise also lies in offering these hoses with copper wires in walls which provides for optimum load and discharge support. Some of its features include suitability for handling saline water, light acids and chemicals, available in different sizes and diameters, choice of lightweight and abrasion resistant finish and others. PVC Spray Hose offeredcomprise high-performance hoses that are made available at competitive prices and in environment-friendly material options to choose from. 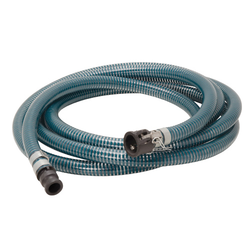 Further, these hoses also provide for easy installation support as well as offering flexible working performance. Some of its features include support for brass chromed nut support; can be made available in different diameter options. PVC Gas Hose offered can be made available by us in different configuration options so as to perfectly match up with the specific working requirements of the customers. We make these available in PVC and rubber material finish as well as in the choice of different colours so as to perfectly match up with the specific working demands of the customers. Some of its features include lightweight construction finish; provides for flexible usage support; superior working durability; application suitability in gardening, watering and other applications; middle reinforcement comprising high tensile textile cords for lasting performance. PVC Nylon Braided Hose offeredfinds application in spraying pesticides in agriculture as well as in areas requiring transportation of water, oil, low concentration chemicals and other liquids. Further, these are designed and developed to provide for superior abrasion resistance as well as anti-aging performance. Some of its features include high pressure and lightweight construction finish; offering superior bending performance; suitable for home and industry use; fibre reinforcement support and others. 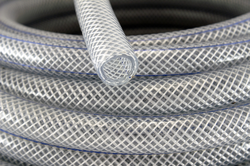 We are engaged in offering our clients a superior quality range of PVC Lay Flat Hose. We design the given product following industrial standards by making use of best quality material and modern technology. 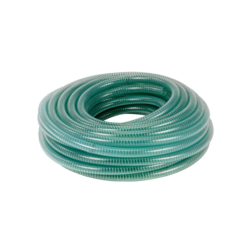 Our firm delivers precisely tested and a high-grade assortment of PVC Suction Hose. It is manufactured using top quality materials and latest technology and tested under various quality parameters. PVC Pipe Hose offered provide use as flexible hose pipes and find suitability in applications involving suction and delivery of liquids/gases. Used in different industrial applications, these hoses are lightweight and flexible and provides for simplified installation support. Some of its features include availability in different outer diameters, resistant to ozone & mildew, provides for easy coiling support, provide for comparatively less heat loss and others. We can also custom develop these hoses as per the specifications provided by the customers.